I hesitate to make generalizations, but here it goes anyway: All parents love getting pictures of their children. If they receive a video? Even better! One of the best ways to connect with parents is by sending photos and videos of their children having fun, learning, growing, experiencing challenges, and building relationships at your childcare center. 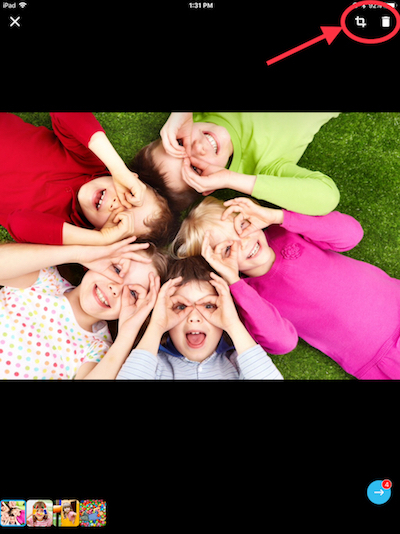 This reassures parents that they have chosen a wonderful childcare for their child, and -- as an added benefit for you -- may inspire parents to share their photos and videos with friends and family as a way of recommending your daycare by word-of-mouth. 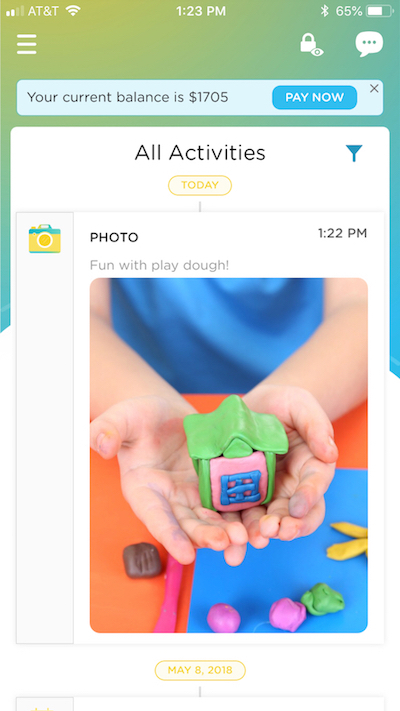 Select "Activities" from the Kinderlime app and choose which media type you want to send. You can take a photo or video using your device's camera. Make sure to allow access to the camera, microphone, and photo gallery in your device settings. NOTE: Videos taken from our app can be up to 60 seconds long. 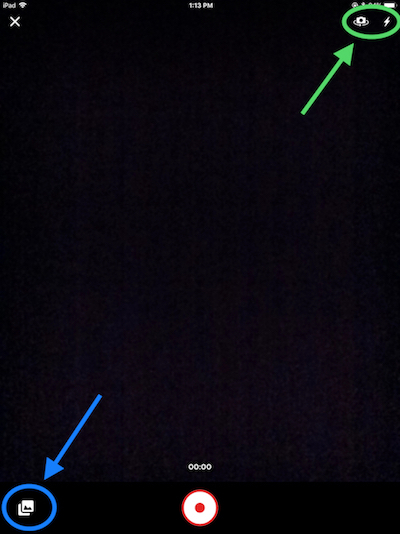 While taking a photo or video, you have the option to turn the camera around or turn flash on or off (indicated in green). Press the gallery icon (indicated in blue) to access media that has already been taken using the device's camera and saved to the photo gallery or the Kinderlime cloud. 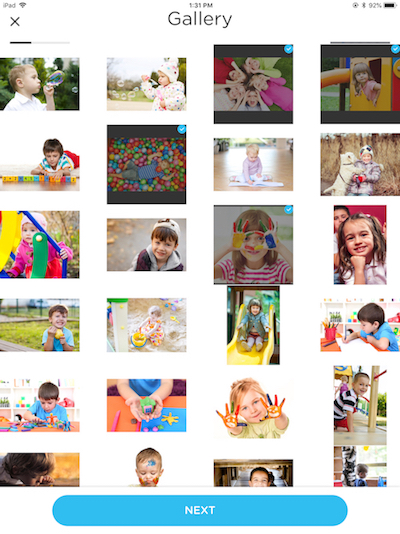 Up to 20 photos can be taken/selected at a time, and only one video can be selected at a time. If you need to deselect a photo from the group you're planning to send, click "Next" and use the trashcan icon to remove it. You can also crop a photo using the crop icon. 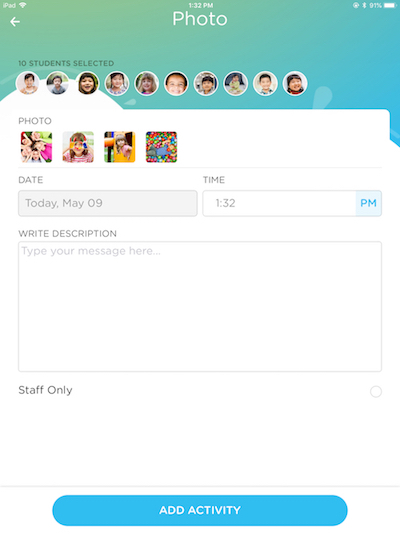 When you're ready, use the blue arrow at the bottom of the screen to select the families who will receive the photo. After that, you will have the option to add any additional details, alter the time, or set the activity as "Staff Only." 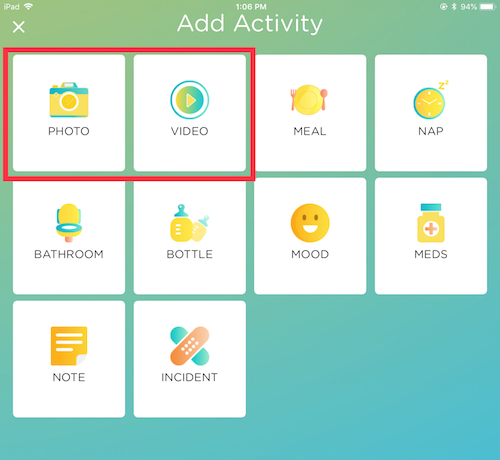 The parent will receive a push notification that the photo has been sent (if they have push notifications enabled on their end). They will be able to view the photo from the app or the website.